People often interact with services that collect data as groups, rather than as individuals - from joint bank accounts, shared devices and wifi to utility bills, photo tagging and energy meters. The way most services are designed today also means that one person has control over data about multiple people. For example, the named bill payer in a shared house may effectively control data about the other people they live with. Services that allow data portability need to consider social relationships to ensure they are respectful of people’s rights. It’s also important that services don’t make assumptions about how groups make decisions about moving data: instead, they need to allow people the time, space and awareness to work things out for themselves. 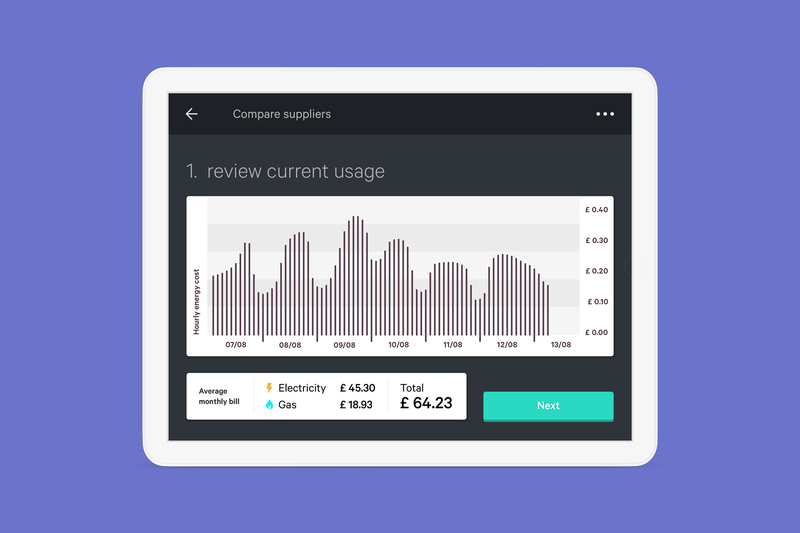 EnergyMeter shows live information about how much energy is being used in a home. 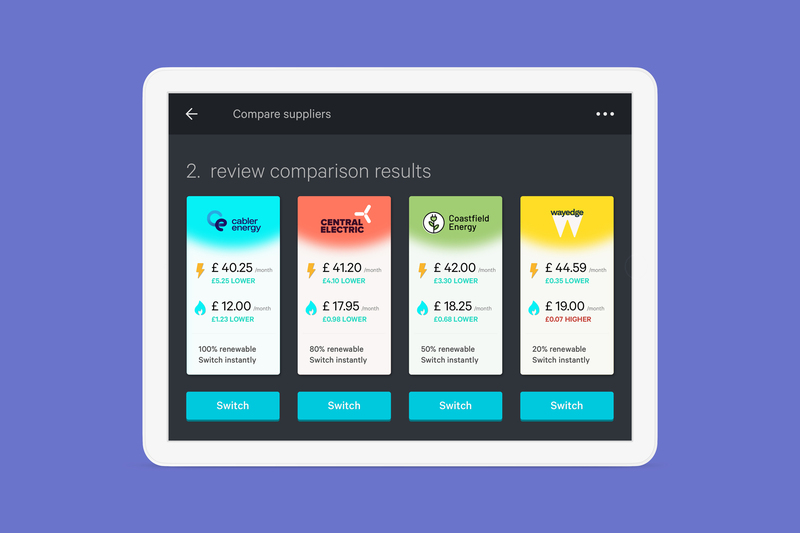 You can review and share detailed energy usage information, in order to find and switch to a better provider. Behaviour can be inferred from energy consumption information. 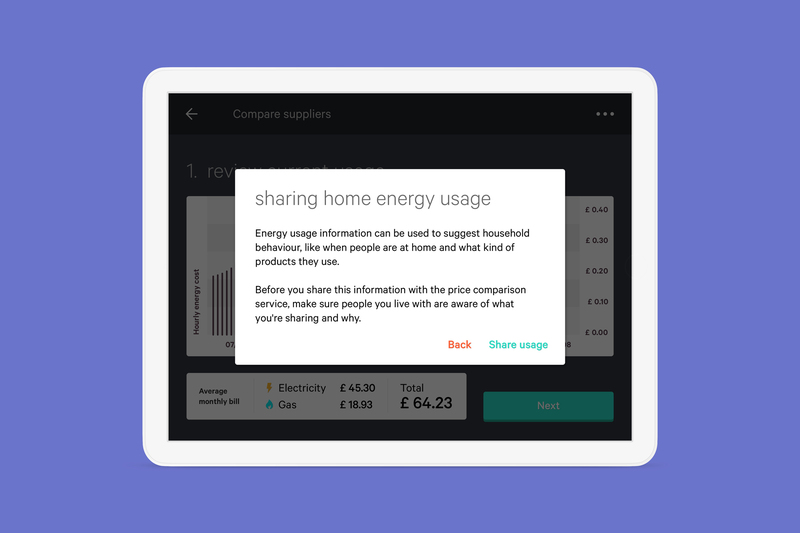 Before sharing this information with a price comparison service, a prompt is displayed to encourage the person switching to talk to others in the home. Once information is shared, you can review and switch directly from the screen. 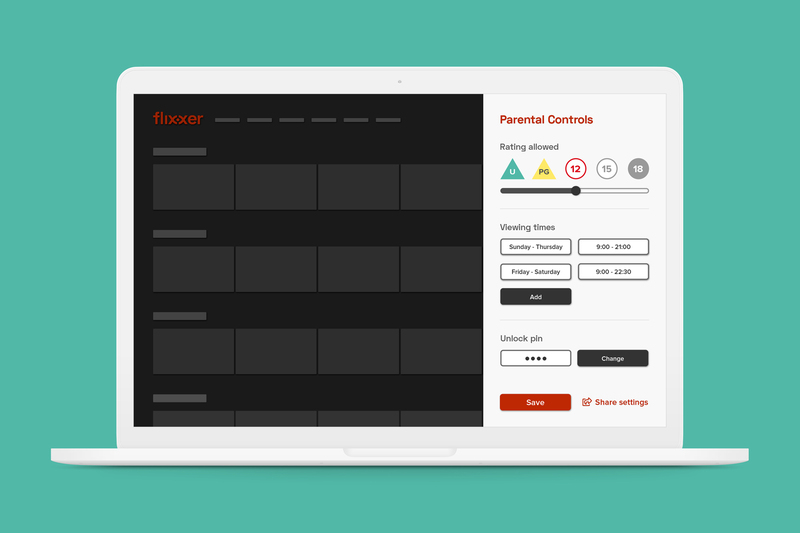 Watch your favourite shows on Flixxer. Use the parental settings to help prevent your children seeing anything that's inappropriate and might upset them. 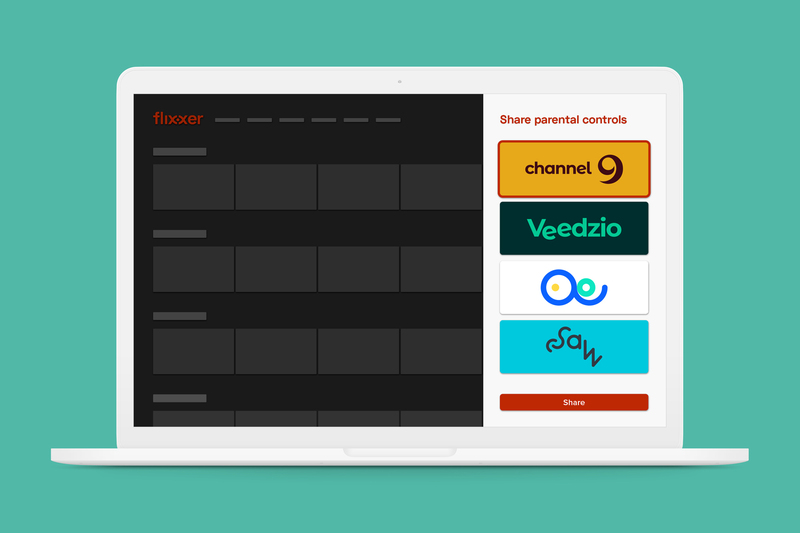 Flixxer now allows you to share your parental settings with other media services. This means your family’s choices about what it does and doesn’t watch can be more easily set and updated. One person will often interact with a service on behalf of a group and decide how data about the group is used. Rarely do people realise that they are in control of data about other people and therefore in a position of power. Some people believed that because they had control over data about a group, they could decide how that data was used. This could be because they paid the bills or were the account holder. 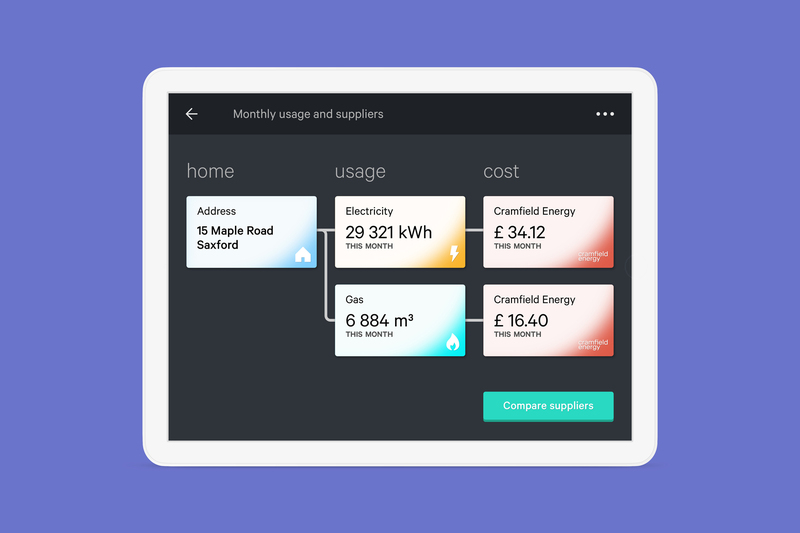 For example, one person said that because they paid the energy bills, they could do what they wanted with energy consumption data about their family. We found people sometimes choose to give up control over data about them if they think it’ll make life easier. Control is given to someone they trust to respect their rights, whether that’s a parent, partner, grandchild or colleague. Differences in group dynamics are important to how people discuss data sharing. In some groups, one person has the final say, whereas other groups are more democratic and take a vote. Sometimes groups decide they don’t want to burden each other with every detail about sharing data.